"The Gallipoli guide was very knowledgeable and told his stories with passion. Thanks for a great day! It was so special for me to visit Gallipoli. I learn’t so much from the guide." This is a full day private tour starting and ending in Istanbul. 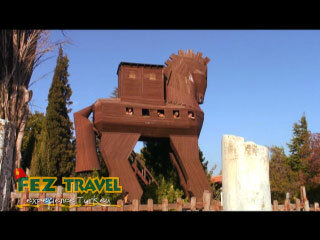 It visits ancient Troy of Helen and Paris fame and scene of Homer's 'The Iliad', the battle of Troy and the Trojan Horse'.